Flight case for 2 trumpets with detachable zipper system. Available for trumpets with piston and for trumpets with rotors. 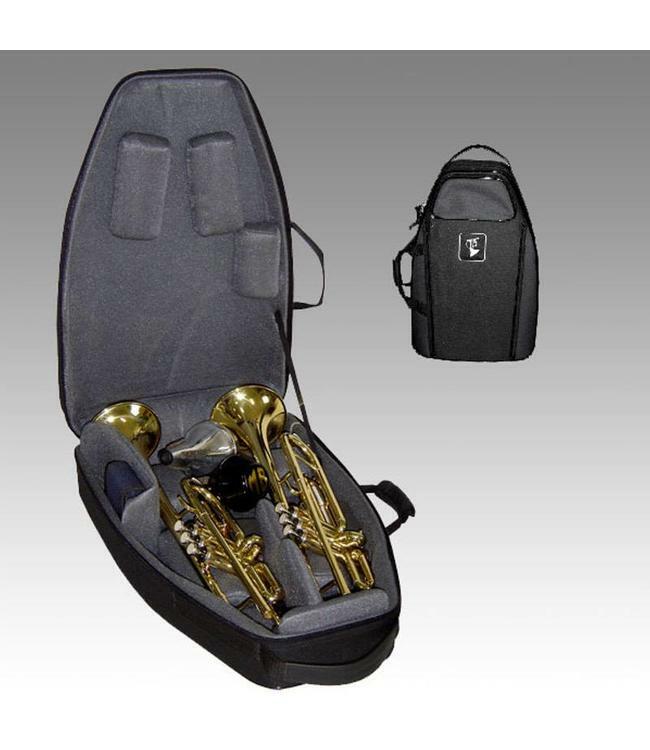 Including: 2 backpack straps, shoulder strap, mouthpiece pouch (for 3 mouthpieces) and 2 mute pouches. OPTIONS: Sheet music and stand bag or laptop bag.